Gargi Padki | Speak Up, Speak Out. Gargi Padki (City College ’15) is a Maharashtrian native and founder of Project Speak Up Speak Out. The program’s mission is to empower individuals and end the stigma that exists around discussing domestic violence and sexual assault on college campuses. Project Speak Up Speak Out was able to engage the CCNY student body through a photo campaign where students took photos to support the cause. 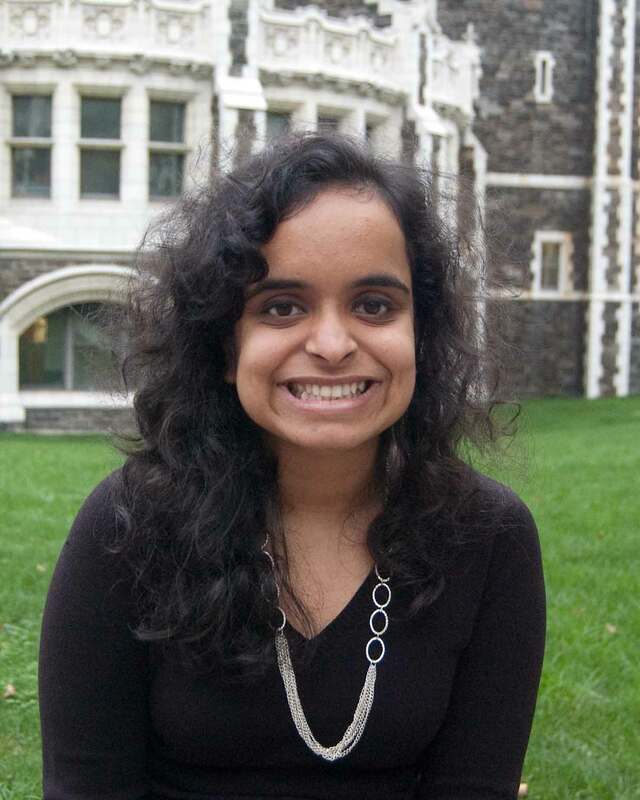 Gargi’s interest in policy and social justice have also led her to contribute in various roles at the New York Asian Women’s Center, where she interned for the legal team, who provide resources and assist in the immigration process to survivors of domestic violence. During the summer of 2014, Gargi studied abroad in Guatemala and worked at reproductive health clinic called Manos Abiertas. She declared her major to be International Studies with a minor in politically undecided. In her free time, she enjoys reading books and season long Netflix binges. She also holds a certificate of Domestic Violence training from CONNECT , a violence prevention institute in Harlem. Pingback: Bloomberg Tackles Domestic Violence | Speak Up, Speak Out.